William and Mary (Watercutter) Knob are buried in Sacred Heart Cemetery in McCartyville, Ohio (Shelby County). They are two of my husband's great-great grandparents on his paternal side of the family. William Knob was the youngest child of German immigrants Heinrich Knob and Anna Pancier. The gravestone is difficult to read; it states that William was born in 1867 and died in 1947. 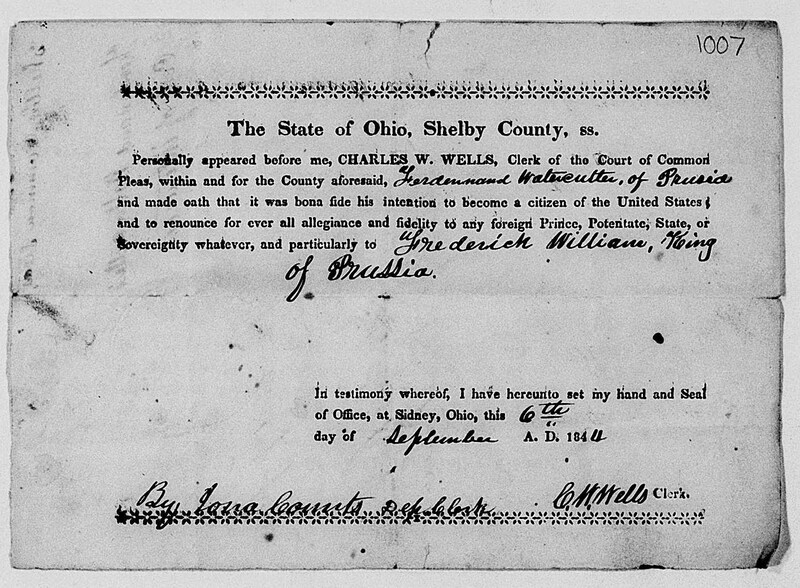 His death certificate says he was born in 1869. 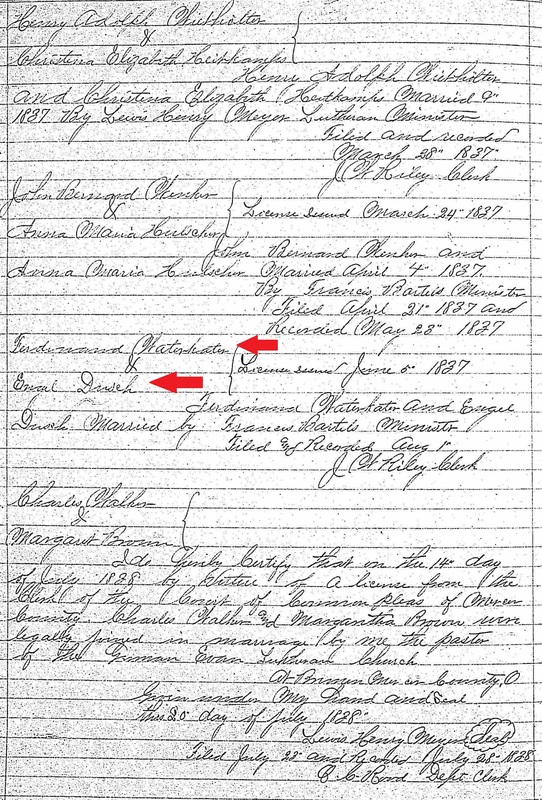 Age clues from census records are inconclusive - his birth year could be anywhere between 1867 and 1869. I have not yet located any probate birth record or church baptism record. 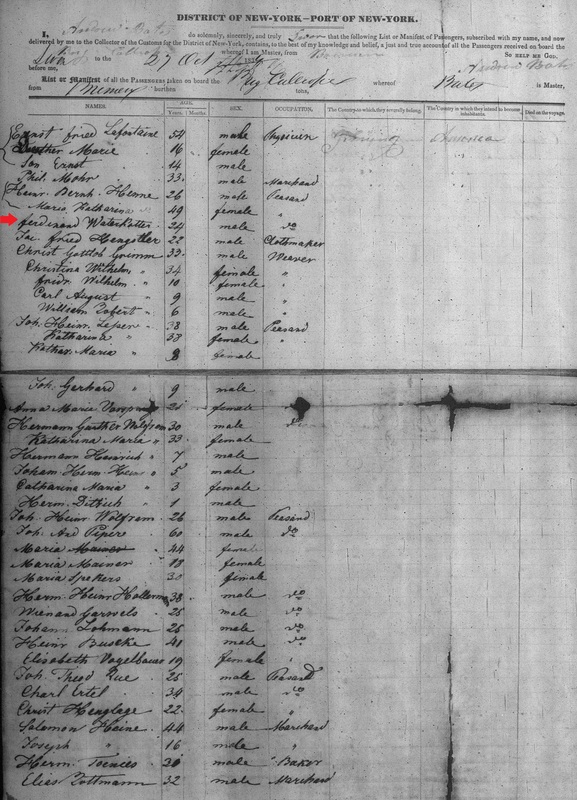 Mary Watercutter was the daughter of Henry Bernard Watercutter and Caroline Lohman, who were both children of German immigrants. 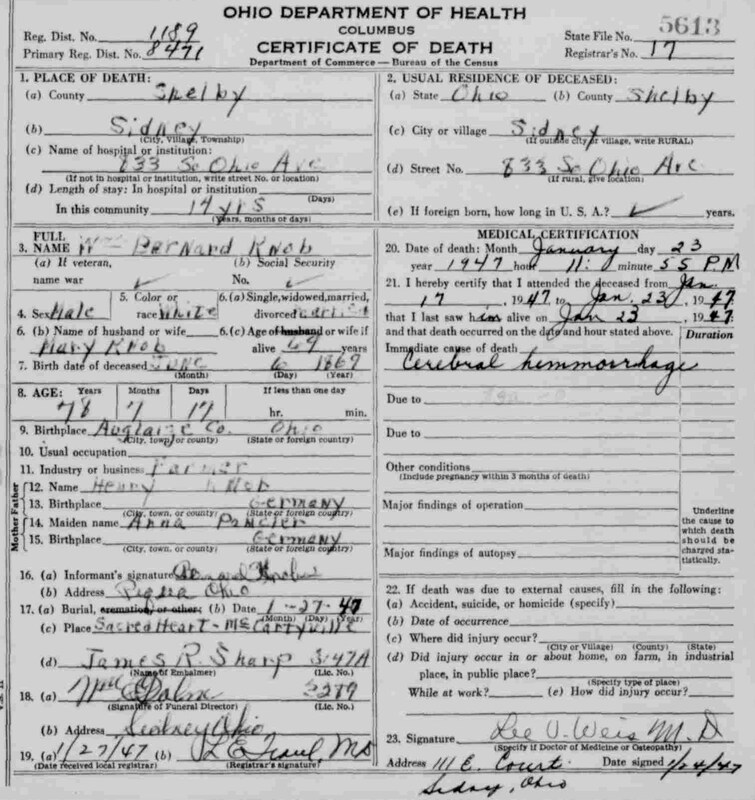 Based on census age clues, which are pretty consistent for her, Mary was born around 1878, which also what her death record indicates. The gravestone almost looks as if her birth year is 1873, but I have never physically been to this grave, so it just may be weathering. I will have to check the next time I am in the area. Mary passed away on July 5, 1965. Townships of Shelby Co. Source: Wikipedia.